Sam Allison, author and historian, gave the Atwater Library noontime lecture on Thursday, June 14, 2018, to a crowd of over 150 enthusiastic listeners. The theme was "The Irish in Canada: Before, During and After the Famine." 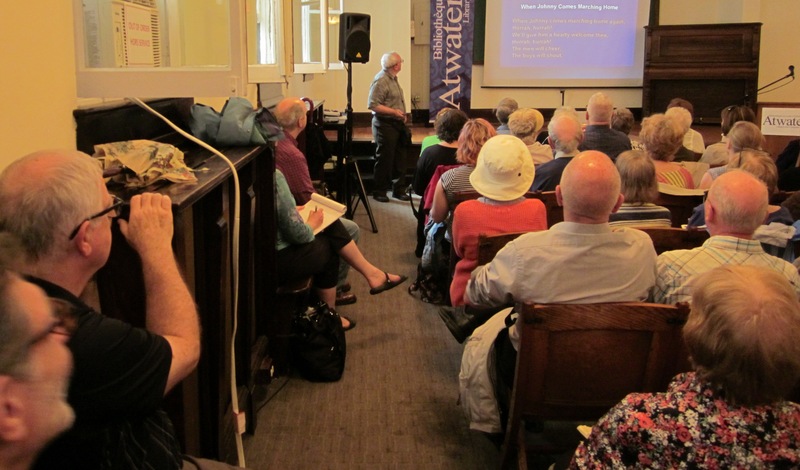 This lecture was organized by QAHN’s Montreal Committee as part of the annual Bloomsday Festival of Montreal.